In this recent study most of the third year medical students (91,2%) were exposed to any drug marketing type, and 56.8% of students were exposed to all classes of marketing methods. This made the medical students less sensitive to the negative effects of and having positive opinions about interactions with pharmaceutical companies. Want to know more about the strategies used by pharmaceutical company representatives? Read: A Drug Rep Tells All on The Carlat Psychiatry Blog. The study was carried out at Marmara University School of Medicine (MUSM) and Ege University School of Medicine (EUSM), located in two of the largest cities in Turkey, Istanbul and Izmir. At both schools, students gain primary care experience in their preclinical years through health centre visits. The study was designed for two phases of qualitative and cross-sectional research. The first phase spanned 2003–2004 and 2004–2005 and included the all the 280 third-year MUSM students from those years (142 and 138, respectively). In the second phase, from April–July 2006, all 398 third-year medical students from both EUSM and MUSM (260 and 138, respectively) were given surveys, of which 308 (77.4%) responded (EUSM: 186 (71.5%), MUSM: 122 (87.8%)). In the first phase the logbooks of students were qualitatively analyzed on notes about student pharmaceutical company interactions. Material obtained from the content analysis was used to develop the survey form used in the second phase of the study. Anonymity of the responses to the survey was guaranteed. meeting invitations than for those who had not been exposed directly. The students agreed that physician prescribing behaviors are probably affected by detailing and gifting by the pharmaceutical company representatives. Most students are not aware about the disadvantages of new drugs such as the lack of experience and the lack of intensive knowledge on drug safety of new drugs. 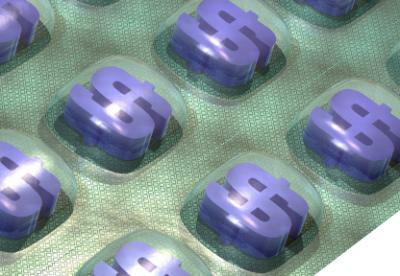 Also the fact that new drugs are far more expensive is not always known by medical students. Moreover, being confronted in clinical practice with their supervising physician as role model who deals with these PCR is far more impressive to students than the stories they hear in classrooms. What educational interventions are effective for medical students for them to cope with pharmaceutical company representatives? Do you know any? Let me know Is the only solution to forbid physicians to interact with PCR when medical students are around?